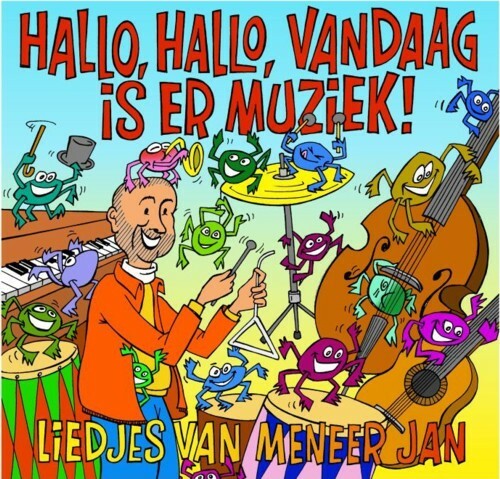 The CD by Meneer Jan is released on WM recordings, which is an initiative of Marco Kalnenek. Recently the site has been restyled. I get about twentyfive mails every week about new releases by WM Recordings. Some are free, others have to be bought at I-Tunes or other download stores. But I am old fashioned: I have never bought a downloadable CD yet. I like to have a physical object! Even buying online is still alien to me. So much of what is going on at WM escapes me. I did listen to songs of most of the free CD’s and downloaded a few. I wouldn’t mind if Marco made a weekly podcast about the music that WM releases, so that listeners like me, who don’t know anything about this scene, are explained what it is all about. It is not that I am not interested, I just cannot find the time and the energy to sort it all out. I love sorting out a box of old cassette tapes, but I don’t like to sit behind a computer screen. Writing a daily blog is for me the limit. I even have a hard time reading my e-mails. I am not going to let you listen to a song from the Meneer Jan CD. Ik heb zelf ook een paar uur zitten knippen en plakken maar werd er knettergek van en heb de uitvoering van de opdracht als totaal mislukt beschouwd! Bas, ook ìk werd er knettergek van. Ik krijg nog steeds een heel onbehaaglijk gevoel als ik mijn resultaat terugluister.